Thank you for being engaged and coming to the official website of Baltimore City. As Mayor, I am committed to moving Baltimore forward by pursuing the priorities that promise an enhanced quality of life for all our citizens. Whether you live here or are a visitor, you know that our City - known for its irresistible charm - is one of America’s truly great cities. We rightly boast of the finest medical systems in the world; ours is a college town with truly great institutions of higher learning, where students from nearly every nation on earth come to learn and mature, and where groundbreaking research is conducted and prized. Areas of our City that were less than desirable are now thriving with new businesses, new restaurants and new residents. We enjoy real estate market values that are the envy of Washingtonians 40 miles away, who pay so much more for so much less. Our major league teams, internationally-renowned symphony orchestra, celebrated museums and acclaimed performance theaters draw tens of thousands of tourists and residents from neighboring counties, filling our restaurants and hotels and contributing to economic growth. This is our Baltimore - the City we know and love – a city we have every reason to celebrate. As Mayor, I pledge our constant efforts to ensuring that our Administration is transparent and responsive to your concerns. 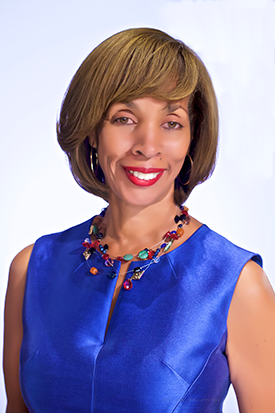 With your engagement and support, I have every confidence that we will realize Baltimore’s full potential. Thank you for all that you do to make a positive difference where you live, work, pray and recreate. Please join me in working together to make Baltimore a place where all citizens live in thriving, inclusive and equitable neighborhoods. This is the full-interview I had with Kevin Rector this past Wednesday (February 6, 2019). What is the Violence Reduction Initiative (VRI)? Monday through Friday at 8 AM the BPD command staff and city agency/department heads meet for the sole purpose of reducing violence. Kicking off a new season of "In Case You Missed It".